The UAE’s Mohammed bin Rashid Space Centre (MBRSC) has announced that September 25, 2019 will be the launch date of the first Emirati Arab astronaut’s trip to the International Space Station (ISS). The announcement came during a press conference held by MBRSC that featured Yousuf Hamad Al Shaibani, director general of MBRSC; and Salem Al Marri, assistant director general for Scientific and Technical Affairs and head of the UAE Astronaut Programme at MBRSC. Hazzaa Al Mansoori and Sultan Al Neyadi, the first two Emirati astronauts from the UAE Astronaut Programme, also attended the event. Al Shaibani said that one of the astronauts will fly to ISS on Wednesday, September 25 for an eight-day Russian space mission to ISS aboard a Soyuz-MS 15 spacecraft and will travel back aboard a Soyuz-MS 12. The second astronaut will continue training for future missions. Al Marri noted that the date of the flight was postponed from April to September 2019 following a launch accident of the Soyuz-MS 10 spacecraft in October. "The astronauts’ safety is at the top of our list of priorities, so the date was postponed to 25 September. We are pleased that the mission to ISS will take place this year, despite the obstacles faced by our partners at the Russian space agency Roscosmos,” said Al Marri. Al Marri confirmed that the visual content of these tours will serve as an Arabic reference and will be available for all those interested in the space sector from the Arab region. Al Marri noted that the astronaut's schedule at ISS will be very busy as he has tasks assigned to him every hour of the day. “The astronaut will conduct research in various fields to be shared with the international scientific community to show the effect of zero gravity on research experiments, compared to gravity on Earth. For example, research will be conducted on the reaction of vital indicators of the human body at ISS, in comparison with Earth, before and after the trip. This is the first time this kind of research will be done by an astronaut from the Arab region. The results of this study will later be compared with research conducted on astronauts from other regions,” he explained. Al Marri added that the Emirati astronaut will also be assigned on existing scientific missions in the ISS laboratories, according to the timing and duration of his stay, in addition to the research he will conduct for the UAE’s schools and universities. 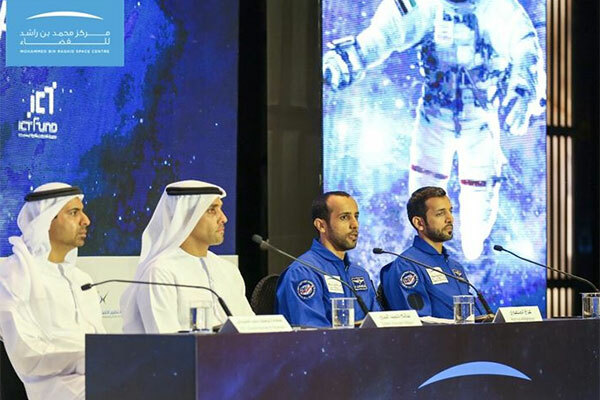 Al Mansoori and Al Neyadi were selected from a total 4,022 candidates who applied to the UAE Astronaut Programme after a series of advanced medical and psychological tests as well as personal interviews conducted according to the highest international standards. ISS is one of the most unique human innovations ever created. The use of space science and technology on the space station has enabled scientists and astronauts to complete ground breaking research that would not be possible on Earth. ISS is in a fixed low Earth orbit and travels at 28,000 km/hour, which means it takes just 90 minutes to complete an entire orbit of our planet.